Sidney Poitier broke down many barriers for black actors in the 1950s and '60s. As the first black actor to win for a leading role, Poitier won an Academy Award for his role in “Lilies of the Field” in 1963. 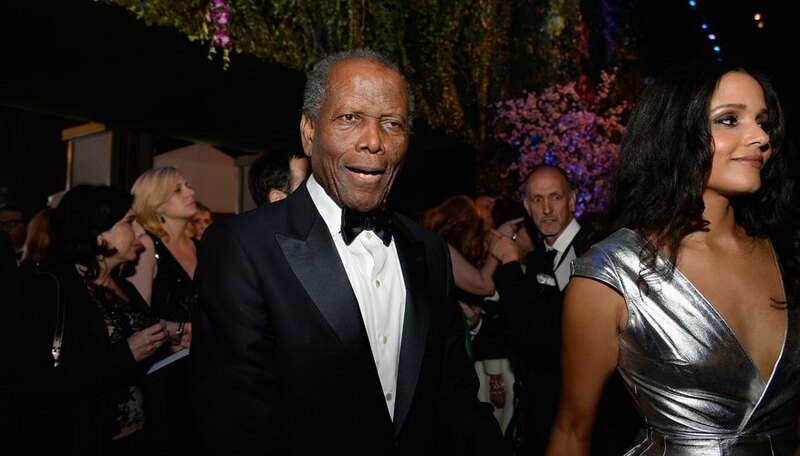 Poitier’s box-office success helped to enhance acting opportunities for all black actors. Black actors began making their mark in the movies, on television and in the theater in the 1970s. Pam Grier appeared in numerous movies in the '70s including "The Big Doll House," "The Big Bird Cage," "Foxy Brown" and "Blacula." Grier is best known for starring in a series of blaxploitation films. Blaxploitation were a genre of low-budget films aimed at an urban African-American audience. The films featured sexual content, violence and ethnic cliches. Quentin Tarantino, a fan of Grier, featured her in his 1997 film "Jackie Brown." The film paid homage to Grier’s black-action characters. Born in Winston Salem, North Carolina on May 26, 1949, Grier grew up in a tough working-class neighborhood of Denver. Introduced into film via beauty pageants, David Baumgarten spotted her at a beauty pageant in Colorado Springs. He convinced her to move to Hollywood to pursue an acting career. Before his acting career, Jim Brown played football as a running back for the Cleveland Browns; Sporting News named him as the greatest professional football player ever in 2002. His first screen appearance was in the 1964 film "Rio Conchos." He appeared in several other successful movies in the '60s most notably "The Dirty Dozen" in 1967. Brown appeared in several blaxploitation films in the early '70s including "Slaughter," "Black Gunn" and "Three the Hard Way." Born on February 17, 1936 on St. Simons Island, Georgia, his father abandoned the family soon after his birth and his mother relocated to New York leaving the infant Brown with his great-grandmother. He signed with the Cleveland Browns in 1957 and played professional football until 1967. Ben Vereen may be known best for his role as Chicken George in the '70s groundbreaking miniseries "Roots." Vereen received an Emmy nomination for his role. Vereen also had a very distinguished Broadway career. He appeared in the Bob Fosse play "Sweet Charity" in 1967 at the age of 21. He appeared the following year in film adaptation of the play starring opposite Sammy Davis Jr. Vereen received critical praise for his role as Judas Iscariot in "Jesus Christ Superstar" in 1971. He appeared on Broadway the following year in "Pippin." He won the Tony Award for Best Actor in a Musical for "Pippin." Born October 10, 1946 in Miami, Florida, Vereen's family relocated to Brooklyn while he was only an infant. He attended the prestigious New York High School of the Performing Arts. Sherman Hemsley’s role as the cantankerous and wise-cracking George Jefferson was one of the first strong black roles on prime-time television. The actor was born in Philadelphia on Feb 1, 1938; he became interested in acting at an early age appearing in several school plays. After a stint in the Air Force, he moved to New York City where he made his professional acting debut in the Broadway play "Purlie." Norman Lear offered Hemsley the role of George Jefferson on "All In The Family" in 1971. Hemsley initially declined the role because of his commitment to "Purlie," but accepted it in 1973. The popularity of Hemsley’s George Jefferson character resulted an "All in the Family" spin-off series: "The Jeffersons," which successfully aired from 1975 to 1985.